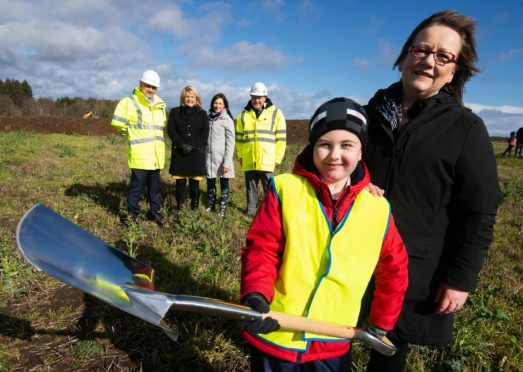 The turf has been cut to start construction on Linkwood Primary School in Elgin. Pictured front: P3 pupils James Kennedy with Sonya Warren, chairwoman of Moray Council's children and young people's committee. Pictured rear: chief executive of Hub North Scotland Michael Padzinski, Moray Council's Head of Schools Vivienne Cross, head teacher Fiona Stevenson, Balfour Beatty's contracts manager Joe Mulligan. Linkwood Primary School was originally expected to open in summer last year as part of a massive Springfield Properties housing development. However, issues understood to surround the ownership of the site in the south of Elgin have resulted in the project being pushed back. Now the turf has been cut on the £12.8million development to begin the construction with latest estimates putting the completion date in June next year. 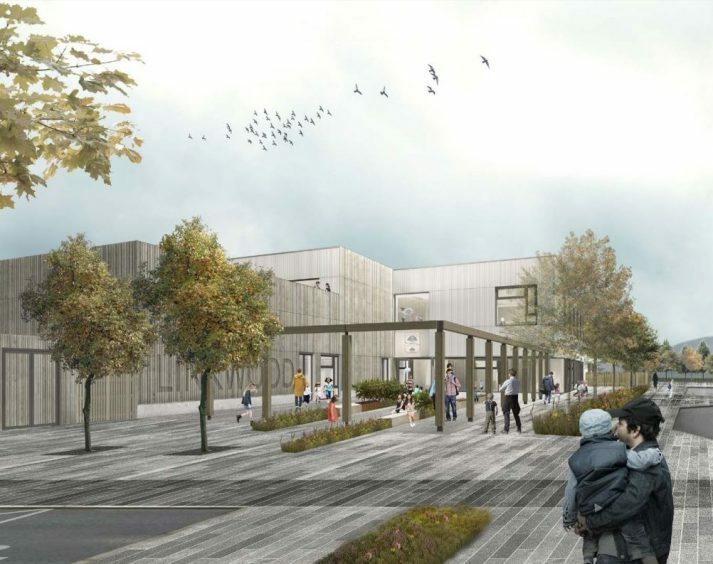 Sonya Warren, chairwoman of Moray Council’s children and young people’s committee, described the new school as “vital” to cope with the town’s booming population. She said: “Schools like neighbouring New Elgin have been bursting at the seams. Elgin’s population continues to grow at a significant pace and the new school will provide essential capacity to support that expansion. Linkwood Primary School pupils are currently being taught in temporary accommodation at East End Primary School. 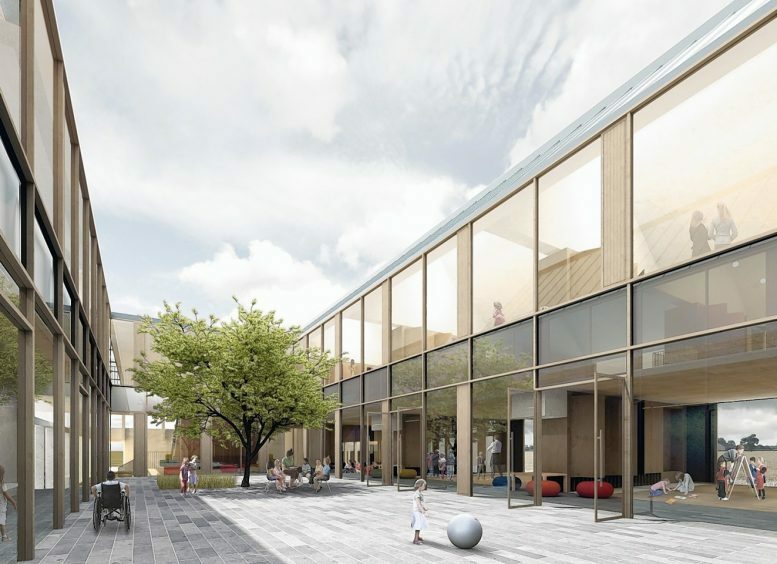 The council has enough capacity there for another intake of pupils there in the summer but has warned that further construction delays beyond the beginning of the 2020 academic year could result in extra costs. Once complete, the new complex will provide space for 462 students including specialist ASN (additional support needs) provision for 12 pupils and 40 nursery places. An external roof terrace, outdoor classroom, allotment and wetland habitat are also included in the plans. Linkwood Primary School artist impression. Head teacher Fiona Stevenson said: “We’re delighted to begin our journey towards moving to the new school. The children have thrived in the current environment and we’re very fortunate to have had the high-quality facility that we have.